Lexington is known as the horse capital of the world. It’s home to Keeneland race track and surrounded by rolling hills of bluegrass dotted with hundreds of horse farms. The people of Lexington are passionate, and take a great delight in all the things that make Lexington home: a quaint, walkable downtown, slower pace of life, commitment to family, the finest bourbon and University of Kentucky Wildcats basketball. It’s a place where trips to the NCAA Final Four have become tradition, not exception. It’s where people share a one-of-a-kind passion for horses and all things equestrian. Lexington supports an active arts community and hosts many cultural festivals and downtown music celebrations. WLEX became Lexington’s NBC affiliate in 1968. 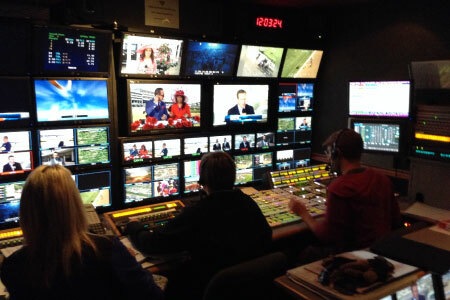 Its broadcast area includes a wide expanse of central Kentucky, totaling 40 counties. While it is the proud home of the Oaks and the Olympics, the crown jewel is its award-winning annual coverage of the Kentucky Derby. Lexington is filled with people who love to give back to the community, and WLEX supports and partners with its community in a variety of ways. In addition to award-winning news coverage and StormTracker weather alerts, Making a Difference highlights people who have a positive impact, Crime-Stoppers generates tips to solve local crimes and Bill’s Weather 101, airing for nearly a quarter of a century, helps children learn about and predict the weather. The station’s goal is to inspire and inform its community, and viewers respond by tuning in and counting on WLEX.